You’re about to do something extraordinary. Your tax-deductible donation will help homeless dogs and cats with humane care and treatment. Thank you. Please choose an amount listed below or enter your own amount. 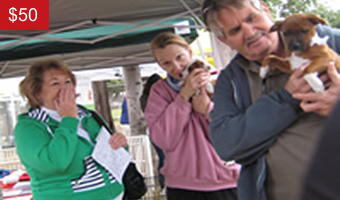 $20 rescues, feeds, shelters, rehabilitates and finds homes for homeless dogs and cats in the poorest communities. $20 feeds a mother dog and her pups for one month, giving them a chance for a forever home. 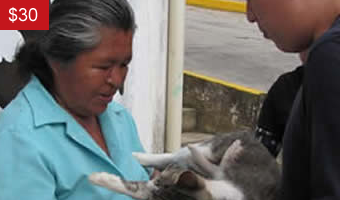 $30 sponsors two dogs or cats to get spayed or neutered and provides medical care at clinics in the poorest communities. Your donation will have a direct impact on preventing the overpopulation of unwanted homeless street dogs and cats and the sufferng they endure. Thank you. A $50 donation is an investment in our permanent animal shelter where we can deliver shelter, food, medical care, rehabilitation and adoption for homeless dogs and cats in the poorest communities. Our goal is to break ground by 2015. Would you consider an investment in a legacy gift for the future? 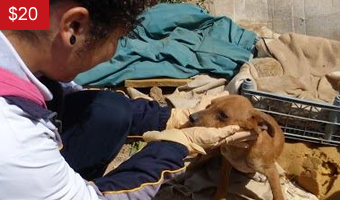 Your donation will help construct a permanent animal shelter for street dogs and cats. You’re monthly tax-deductible donation will have a lasting and substantial impact on the lives of the many homeless dogs and cats in the poorest communities. Please click the Monthly Donation button and choose your donation amount. Thank you. If you prefer to donate by check, please send your donation to AAOFUS, P.O. Box 262, El Cajon, CA 92022. Thank you. 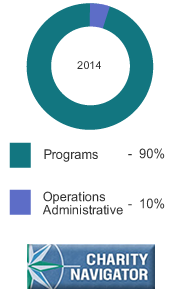 We spend over 90% of all donations on programs. 9% goes to operations to help homeless animals. Less than 1% goes to administrative expenses. We're a 501(c) non-profit organization helping homeless dogs and cats in the poorest communities in the U.S. and Mexico. 100% of all donations directly fund rescue, rehabilitation and compassionate care for animals in need. You donation is tax-deductible. Thank you.